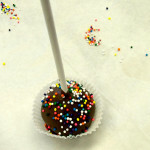 Perfect Cake Pops: 3 Quick Tips | Delicious! 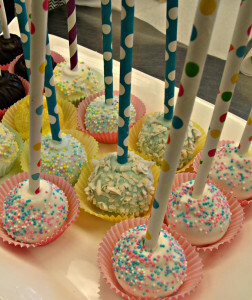 Unless you’ve been living under a rock, you may have noticed that cake pops are the latest fun way to have your dessert on a stick. Kids and adults alike love these little treats. 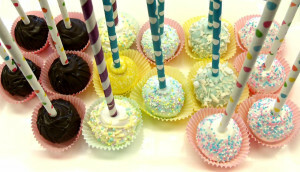 Cake pops are now appearing at all sorts of events like birthday parties, fundraisers, weddings, at-home sports parties. So what are cake pops? They are the perfect little bites of cake, styled as a lollipop, and covered in a hard chocolate shell, on a stick. These decadent little yummy cake bites can be made with your choice of your favorite cake flavor, and decorated to fit the theme for your party or occasion. We also make them fresh to order. Oh course, we are here to save you time by making them for you, but we know that we have some DIY enthusiasts out there too. So, here are three quick tips to help you make the perfect cake pop. 1. Use a mini ice-cream scoop to create pops that are of equal portions. 2. 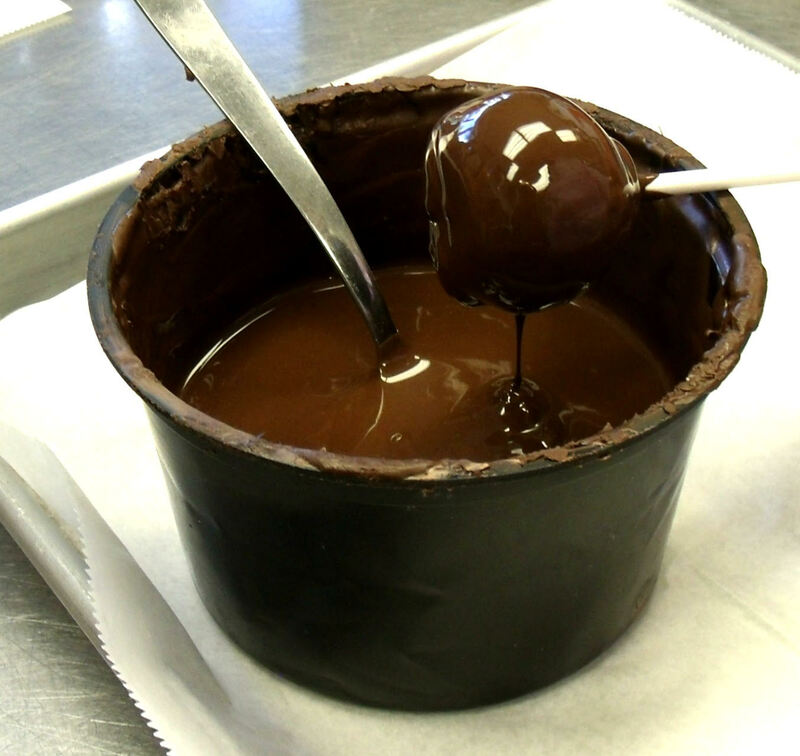 Dip your stick in the chocolate icing first, then into the cake pop before transferring your tray of pops into the fridge to create a firm bond between the stick and the pop. 3. A block of Styrofoam is an inexpensive way to make a holder to stick the pops into so they can dry. 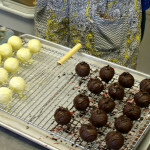 Let us know if you’ve tried to make your own perfect cake pops and if they turned out well for you. 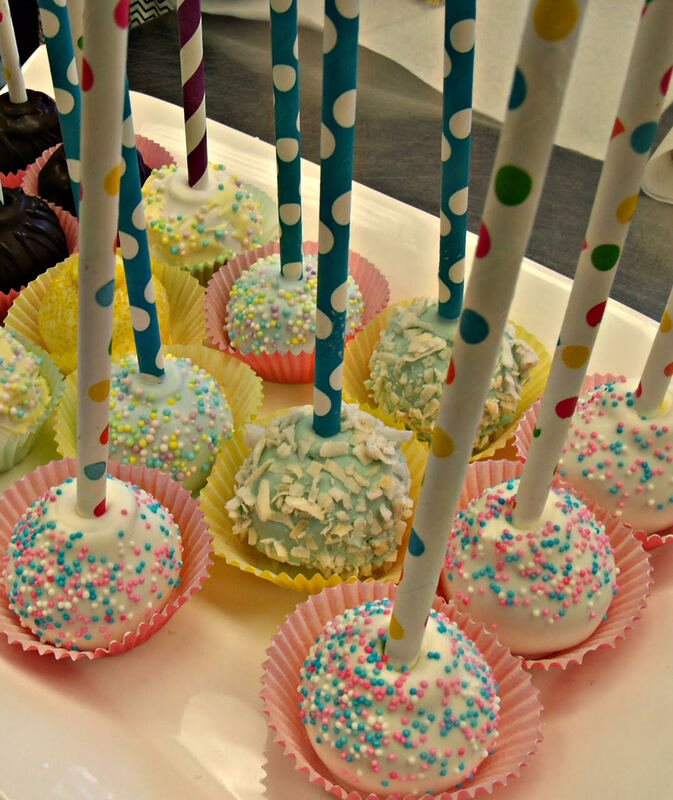 If you’re looking for some new ways to make your perfect cake pops fun and delicious at your upcoming party or event, let us help you bring the wow factor to table. Like and visit our Facebook page for more delicious treats.